Have you ever wondered whether to take the TOEFL or IELTS Cambridge exam? You are not alone. In fact the most popular exams are the IELTS, TOEFL, FCE, and BEC exam. TOEFL stands for Test of English as a Foreign Language. Originating from the United States, this test is accepted by academic and professional institutions located in the United States, and is commonly taken by students in order to enroll in universities in the United States or to get a job in the United States. The TOEFL rates your English language – there is no pass or fail. By far the most popular exam is the IELTS. It originates from Great Britain Cambridge university and is used to test students’ general knowledge of English language. 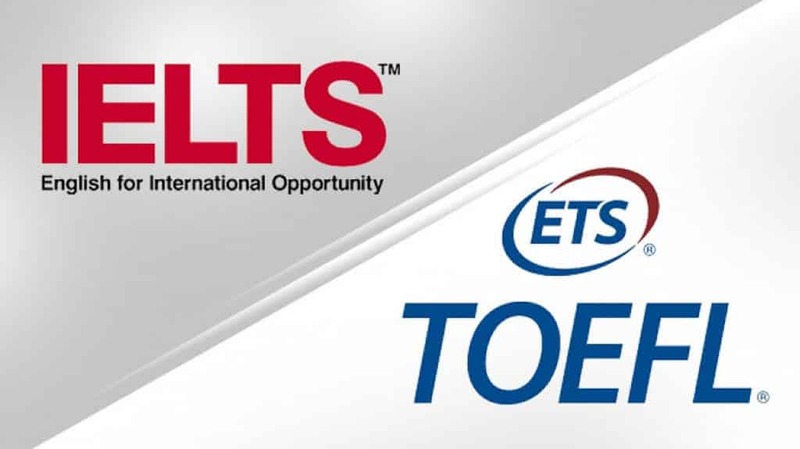 IELTS is really similar to the TOEFL exam, the only difference is it originates from Great Britain and the TOEFL originates from the United States. The FCE stands for First Certificate of English Language and also originates from Cambridge University. This test is ideal for those pursuing professional careers or goals and is offered to adults and high school students. The FCE is a cousin to the Russian state English exam EGE, you have to pass this exam. If you do not receive a passing grade then you do not get the certificate. The BEC stands for Business English Certificate and also originates from Cambridge University. This test focuses on business terminology and is ideal for those pursuing a business career. The BEC exam tests the top three levels of English and you have to pass to get the certificate. Here are four common misconceptions about Cambridge exams. Is it easy to cheat during these exams? It’s almost impossible to cheat the tests. How impossible? The questions that appear on the test day aren’t published anywhere else. You can’t bring copies of past tests and you can’t bring grammar rules with you, it wouldn’t give you much help anyway. These Exams are designed to test your comprehension speed and your ability to express yourself as clearly as possible. If you were to cheat, you’d have a better chance sending a look-alike to do the exam for you. This is unlikely to work because the examiners thoroughly check the identity of each student. Am sure there aren’t a lot of people who have an identical twin who speaks perfect English. Only native speakers can achieve the highest score. There’s a common belief that to achieve the highest score, you must be a native English speaker. This is nothing more than a misleading myth. There have been many cases were native speakers score less than non-native speakers. Especially now, when more and more countries are learning English. Not all native speakers are fluent in grammar, can write very well, or speak coherently. Passing these exams depends on your effort and the amount of dedication you put to the task of achieving an excellent score. Is it ok to ask the examiner to repeat the question during the speaking test? Do complex words give a higher score? Writing beautifully and presenting your wide knowledge of English vocabulary are both crucial parts of achieving a great score in the writing test. You may risk sounding unnatural if you use too many “big” words or complex expressions. Not all words are created equal. Even though some words have the same meaning, that does not necessarily mean you may use them for the same situation. You are better off using commonly used words than to risk sounding unnatural or incorrect. This can affect your cohesion and coherence, and ultimately, your final score. To pass the IELTS, TOEFL, FCE, BEC exam (or any international English exam), you need to work on improving all your English skills. To get a normal result in any of these exams, your English level must be at least intermediate. Most students and teachers fail to establish this fundamental rule. The internet is cluttered with online teachers who promise shortcuts and exam hacks to guarantee success. This can be very confusing. If you have doubts about your true English level, take an online English test. After that we you can take an IELTS preparation course online with us. TOEFL, FCE and BEC exams are also available. Lessons take place online so you can set your own pace and timetable. If you feel that you just want to improve your English level, we can help you with that.